It is a professional stage costume, which is made on the basis of the romantic chiffon skirt. 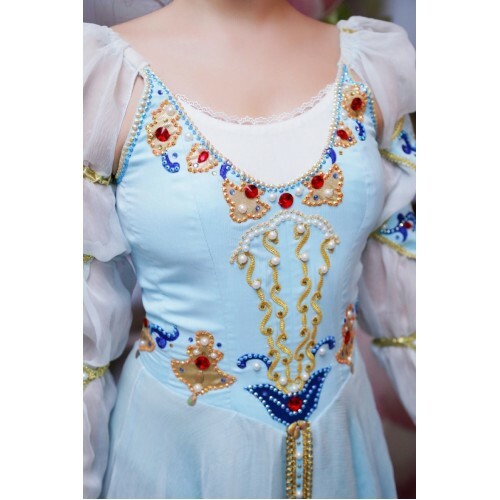 Bodice is made of semi- stretched fabric with white insert in front. It has two rows of hooks for the comfortable adjustment and an inner cord to tighten the bodice at the chest level. Skirt is made of chiffon. 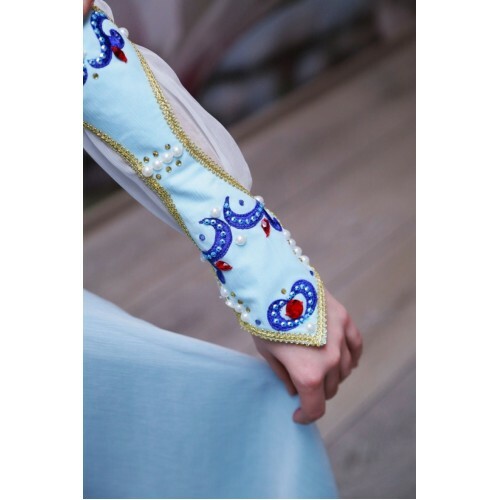 Complex sleeves, and bodice are richly decorated with appliqués, beads and braid. 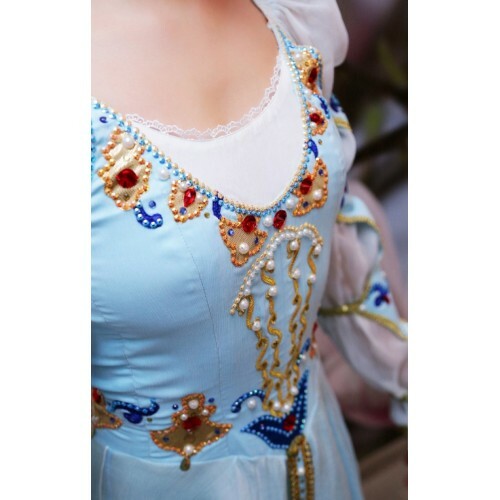 The originality of this costume lays in exclusive handicraft which masterly reproduces the epoch which is described in Shakespearian “Romeo and Juliet”. It is possible to choose any color you like.